Amazon’s new free tool, the Kindle Textbook Creator, is very convenient for e-textbooks and other e-books with rich formatting and complex layouts. 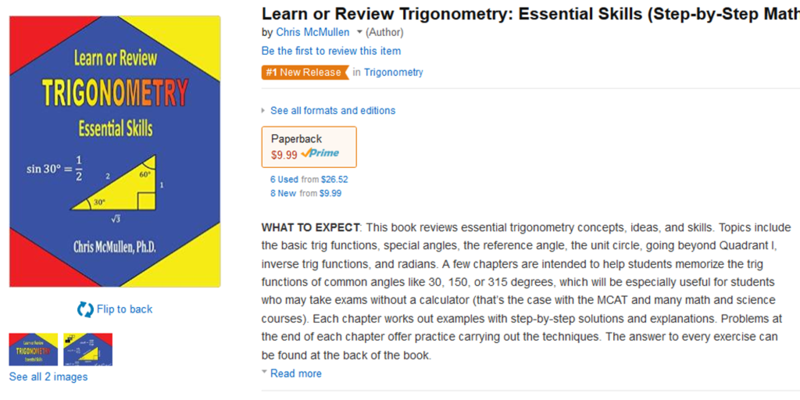 I recently published my trigonometry book, Learn or Review Trigonometry: Essential Skills, using the Kindle Textbook Creator. I did more than simply upload my print PDF to the Kindle Textbook Creator. I spent a little time modifying my file in order to optimize it for the Kindle Textbook Creator. Later in this article, I will show you exactly how I did this. 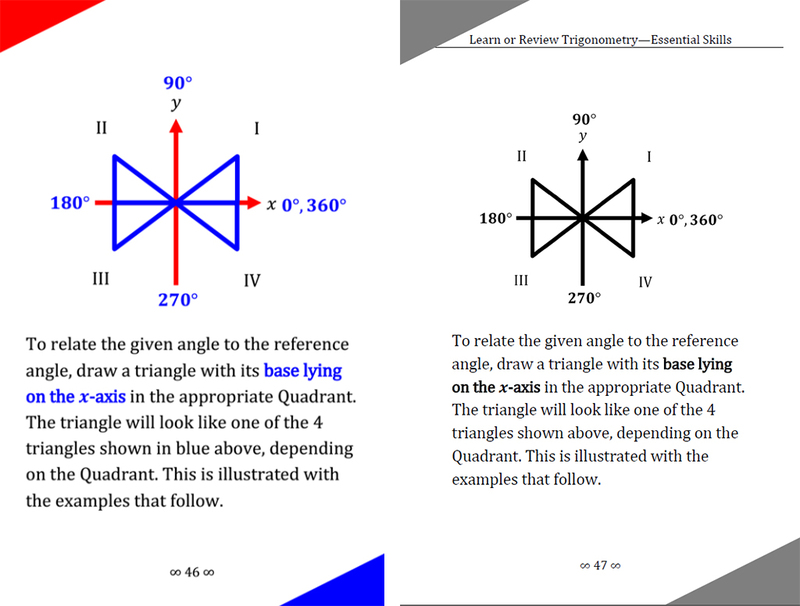 If you would like to see an example of an e-textbook created using the Kindle Textbook Creator, feel free to check out my trigonometry e-book and see how it looks: https://amzn.com/B0106X7NL4. Note that the Look Inside shows the paperback edition. (Update: That may change soon, as KTC published books are beginning to generate automatic Look Insides.) If you want to explore the Kindle e-textbook, download the free sample to a device, or download the free sample with one of the Kindle apps (like Kindle for PC); you’ll get the best experience with a Kindle Fire HD. But remember, your book won’t look quite the same unless you take similar steps to optimize your file before publishing. The strongest benefit is convenience. 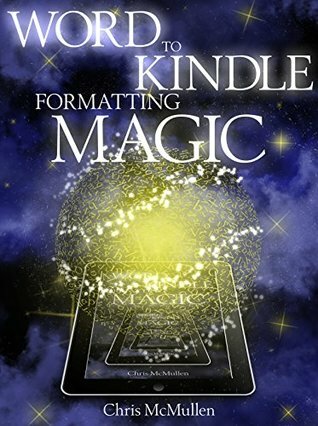 You put a PDF in and very quickly get a Kindle-friendly e-book out. (Unlike conventional Kindle e-books, PDF actually converts very well in this context.) The alternative, converting a complex layout with rich formatting into a reflowable e-book, is very tedious and time-consuming. Many e-textbooks don’t sell frequently enough to warrant weeks of work on the e-book conversion (or paying a hefty fee to have the conversion done for you). The output is amazingly good for starting from a PDF file (usually, PDF is the worst file to begin with to create an e-book, but this is an exception). The structure of each page is preserved, which preserves the complex design and layout of most textbooks, yet it’s much better than just converting every page to a picture. The device will recognize the text on each page, which would never happen in an image. In my experience, images can come out nice and sharp, much better than converting each page to an image (but you need good quality to begin with). Students can highlight text, make notes, and use similar features that are very handy with e-textbooks. For example, if you highlight a word on the screen, the device will pull up windows for a dictionary, Wikipedia, and even translation. There is even the potential for flashcards. The e-book will support pinch-and-zoom. This is a necessity when text or images wouldn’t be readable on the screen, which is possible, since the screen size may be much smaller than the page size of the printed textbook. 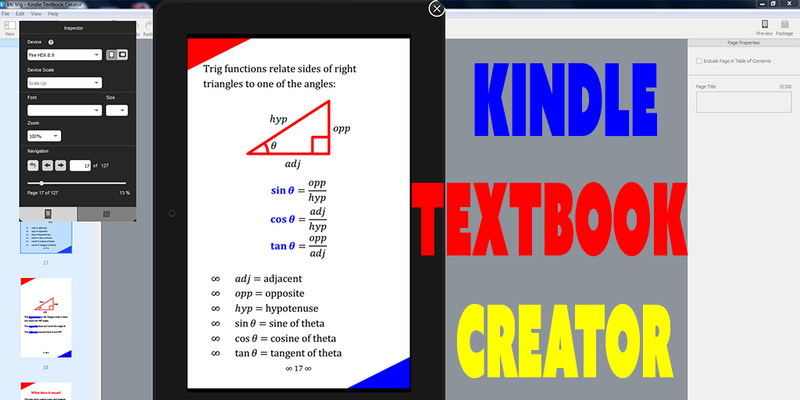 Pinch-and-zoom is what makes the Kindle Textbook Creator viable. You can add navigation to your PDF file so that Kindle devices will have a working table of contents on the device (but not a clickable table of contents in the e-textbook). Audio and video clips can be added into the e-textbook using the Kindle Textbook Creator. That’s pretty cool. A new feature recently added is an image pop-up. Most of your images you probably want to show on the page rather than to pop-up, but if for some reason you want to insert an image file and have the image pop-up, that is possible now. Audio and video features are not yet fully supported. Presently, they are only supported on third-generation Kindle Fire tablets. If the text is so small that customers must pinch-and-zoom to read, this can become quite tedious if customers must pinch-and-zoom to read every page of the e-textbook. Some textbooks are very expensive in print, so substantial savings with an e-textbook may help to offset possible inconvenience. However, if the text is somewhat small, it’s not too hard to enlarge the text. I’ve done this and will show you how later in this article. Kindle’s page numbering may differ from your page numbering, so if your pages have numbers or if you include a table of contents with page numbers, this can be confusing. However, it’s not too hard to either remove your page numbers all together (as you don’t really need them in an e-book) or at least change your page numbering to match Kindle’s page number assignment in the navigation. I go into further detail later in this article. File size is a possible issue, but it depends. 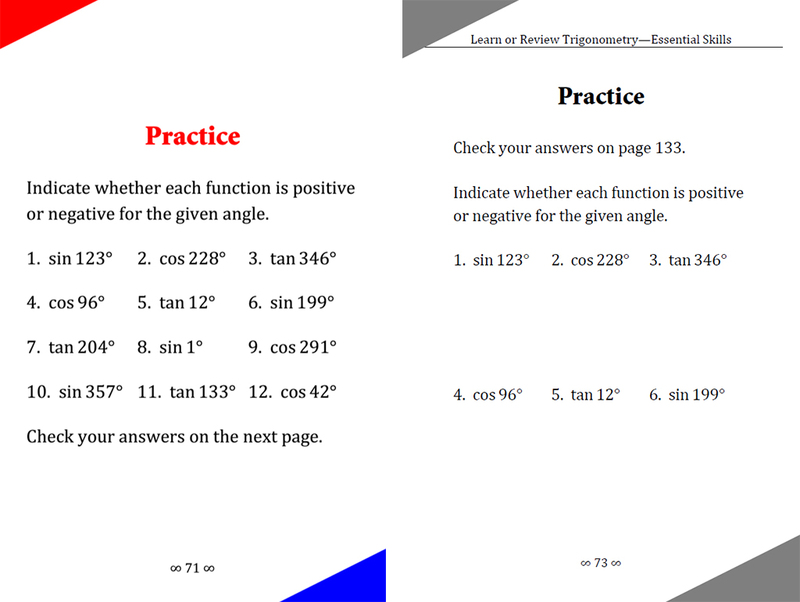 I just published a 127-page trig e-textbook with about 60 images, and file size wasn’t an issue for me. My PDF file was 3 MB, the Kindle Textbook Creator made a 6 MB file, but all that really matters is that the final converted .mobi file size was back down to 3 MB. (It’s common for the final .mobi file size that you find on page 2 of the publishing process at KDP to be significantly smaller than the .kpf file that you upload to KDP. When you see the .kpf file size, don’t worry about it: Wait until you reach the pricing info page to find out what the file size really is.) If you have a very large .mobi file size, the file size will cut into your delivery cost if you choose a 70% royalty (for an extremely large file size, you might see if the 35% royalty is actually better since that involves no delivery fee); the delivery cost is 15 cents per MB (subtracted from your 70% royalty; the customer doesn’t pay a delivery fee) in the US. You can upload a file as large as 650 MB. I’ve never had a file larger than 50 MB; I suppose if you add a bunch of video clips that generous limit will come into play (and that would be a hefty delivery fee, definitely needing the 35% royalty option). It’s not just the delivery fee that matters. At some point, it takes significantly longer for customers to download and takes up more room on the customer’s device. A few MB aren’t a problem. 50 MB is rather significant. Somewhere in between, maybe around 20 MB, is where you might start to have concerns, but if your book provides good features, like awesome images or video clips, the content may make it worthwhile. Many textbooks have 8.5″ x 11″ pages with a size 12 font. That’s great for the printed page, but just imagine if that page gets compressed onto a smaller screen. In that case, the text would be unreadable on many devices except when the customer uses pinch-and-zoom. If the customer must pinch-and-zoom (and then scroll around to read left to right, top to bottom) to read every page in a long e-textbook, that will quickly become tedious. I originally published two print editions. One of the print editions has large print. The cool thing about increasing the font size and making a second version of your print file is that you can use it (A) for a large print paperback edition and (B) optimizing the text for the Kindle Textbook Creator. 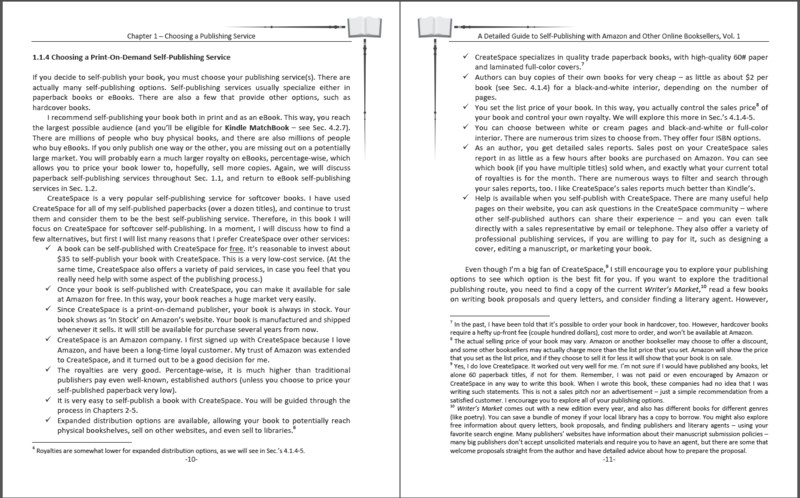 However, I still made some changes to the file from my large print paperback edition to my Kindle Textbook Creator edition. I’ll get to that shortly. My original file was a Word document (.docx). I first formatted this for a 6″ x 9″ paperback, and converted this to PDF. Next, I saved my Word file with a new filename, increased the font size for the large print edition, went page by page through the file to improve the formatting (since the layout changed significantly after increasing the font size—I also made the large print edition 8.5″ x 11″, which is very transparency and document camera friendly on top of having larger print), and converted this to PDF for the large print paperback. I made the font size very large. I used a font size of 24-pt for the body text. This may have been overkill: Size 16 or 18 pt may work well enough, depending on the font style. 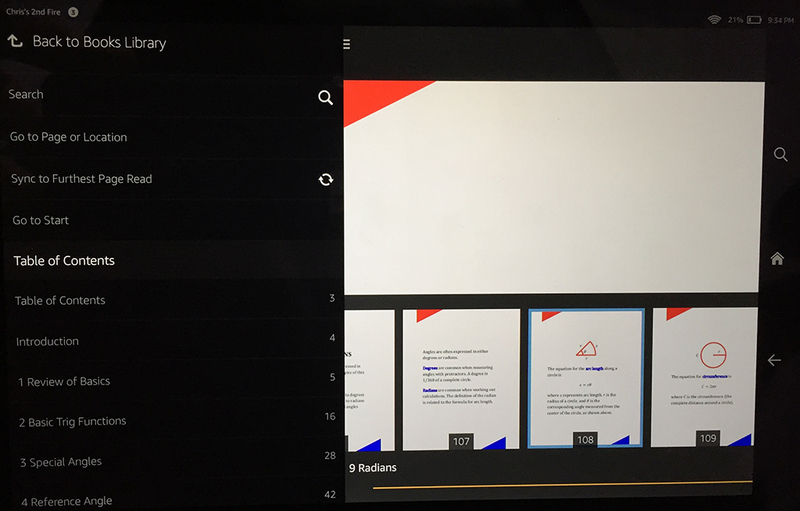 Try out a test page, convert the test page to PDF, upload that to the Kindle Textbook Creator, and preview how it looks on different screens; and repeat as needed until you’re satisfied with how the size looks. If the font size is readable across most devices, customers won’t have to pinch-and-zoom on every page just to read your e-book. If you used Word’s built-in styles (in 2007 and up for Windows, you find these on the top right half of the Home ribbon), changing font size is very simple. I simply changed the body text styles to 24 pt and those sections updated automatically, then I changed headings to size 36 pt, and so on. Presto, Change-o! I also changed the page size from 8.5″ x 11″ to 7″ x 11. Most print textbooks are 8.5″ x 11″, but that’s much squarer than most e-readers. The result will be large gaps at the top and bottom of the screen on a Kindle device. 7″ x 11″ is close to the aspect ratio of the Kindle Fire, but may be a little too narrow: It leaves small gaps at the right and left sides on an iPad. Obviously, you can’t get the aspect ratio to match every device, since e-readers have a variety of aspect ratios. 6″ x 9″ is common among trade paperbacks and probably comes out right without any adjustment. What’s your target device? You could either make the page size match your target aspect ratio, or you can compromise and use an aspect ratio that’s somewhere in the middle of what e-readers have to offer. Kindle Fire HD’s have an aspect ratio of 5:8. Starting with an 8.5″ x 11″ book, if you change your page size to 6.875″ x 11″, it will match the Kindle Fire HD. iPads have an aspect ratio of 3:4. Starting with an 8.5″ x 11″ book, a page size of 8.25″ x 11″ matches the iPad. It’s probably not worth the hassle if your main target is iPad, but 8.5″ x 11″ will look very square on the skinny Kindle Fire. Somewhere in between, like 7.5″ x 11″ may offer a good compromise. I made the margins narrower for the e-textbook than I did for the print editions. Wider margins come in handy for making notes in a print book; that margin is pretty useless in an e-book (where you can add notes without having to use the margins). I left a small margin for aesthetic reasons. Most print books have a larger inside margin than outside margin, sometimes referred to as a gutter (though Word lets you make a wider inside margin, add a gutter, or both). This looks funny in an e-book. If your print book is like this, you can adjust your inside margin to match the outside margin (with the gutter field in Word set to zero). In the print edition, I used boldface to help key terms stand out. In the Kindle edition, I used color text to make them stand out even more. I removed the page headers from the Kindle edition. I could have kept them: Sometimes it’s nice to look at the top of the page to see what chapter you’re reading. But it would be silly to have the name of the book on odd-numbered pages and the chapter title on even-numbered pages in the e-book. If I had opted to keep the page headers, I would have made every page header show the chapter name (which really isn’t hard to change). I also made changes for images and for navigation, as I describe in the following sections. If you have a very complex layout, or if you are meticulous with the subtleties of typography, changing font size, page size, or margins can become very tedious. But for many books, it’s not too much work to make a better reading experience. Toward the end of this article, you can find some images that illustrate the changes that I made to my file for the e-textbook version. And, of course, you can check out my Kindle e-book (find the link in the first section—see above, and also read the note near the link regarding the Look Inside and sample). Amazingly, KDP’s FAQ’s for the Kindle Textbook Creator don’t specify a recommended image size. I’ve spoken with the Kindle Educational Team, and with a few other authors who have asked Amazon, and those recommendations were insane, like 4000 pixels, which is overkill. I suspect those recommendations are made with future-proofing in mind. Even in the reasonable future, 2000 pixels should be ample resolution, maybe even that’s too much. Many images 1000 pixels across forced to display full-screen appear fine on a screen 2000 pixels across, and right now it’s hard to find a screen measuring more than 2000 pixels across. Most authors using the Kindle Textbook Creator already have a PDF file for their print book, and almost all print books require or recommend 300 DPI. If your image is 300 DPI, even a small book size like 5″ x 8″ will be 2400 pixels along the longest dimension if the image is full-page. You don’t really need 300 DPI. But let me back up. Forget DPI for a moment. In most cases, your print-ready PDF’s images will be fine for your e-textbook, and you won’t need to resize them. Of course, what really matters for an e-book is the number of pixels. DPI is irrelevant for e-books. But what I’m saying is that if you already have 300 DPI images suitable for a print book, that’s probably plenty of pixels for the e-book. Now forget the file that you just made. Go back to your source file, save it with a new filename for your e-book version, and touch it up for the e-book. At the end of the previous section, I listed a variety of features that you might change for the Kindle edition. 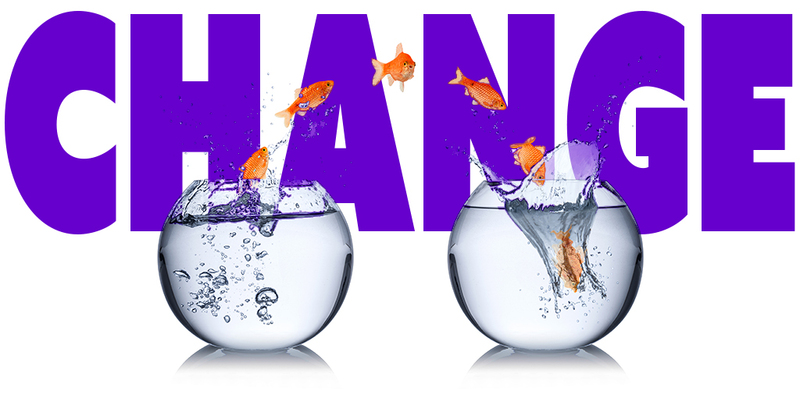 If you also want to adjust any images, make these changes when you change the page size, margins, font size, or anything else that you elect to change. If you want full-screen images for the e-book, first you have to realize that it’s inherently impossible for them to fill the screen on every device because different devices have different aspect ratios. The best you can do is choose on device to target, like the Kindle Fire HD 8.9″, which is 1200 x 1920. But that will look narrow on an iPad, which is 1536 x 2048. But the iPad size will look short and wide on the Fire. Design Tip: Browse for print replica e-textbooks on Amazon and check them out. You can see the different possibilities. You’ll probably see some samples (remember, any Look Inside may be showing the print edition; if so, you need to download the sample to check the formatting out). Traditional publishers don’t use the Kindle Textbook Creator, so you may find some print replica files that were made another way, but you’ll be able to find design ideas. And you’ll probably encounter some design problems, too. Sometimes it’s good to experience those as a customer before designing your own e-book. The absolute best measure of how your images look comes from actually seeing your e-textbook on a device. The preview helps, but nothing is better than the real thing. Once you publish your e-book, the best thing is to be your own first customer and see exactly how it looks. (In the worst-case scenario, you can quickly unpublish until you can resolve the issue.) Of course, there are many different devices, but something is better than nothing. If you don’t have a Kindle or iPad, maybe you can find a family member, friend, or even a coworker who does. Note that there is a distinction between a table of contents and navigation. A table of contents is an actual page in your book. In many e-books, the table of contents has clickable hyperlinks (but not when you use the Kindle Textbook Creator). Navigation refers to a different sort of table of contents. Not one appearing as a page in your book, but one that shows up on the device itself when the customer accesses the navigation feature. Customers can click on the navigation links to jump to any chapter of the book. Note that Amazon refers to Table of Contents in the Kindle Textbook Creator when it’s really talking about device navigation. This causes some confusion. You can’t make a clickable table of contents with the Kindle Textbook Creator. Update: The latest version of the Kindle Textbook Creator now supports hyperlinks (provided that you upload a PDF with fully functional hyperlinks), though this is still different from device navigation. What you can do is build in navigation for the device. This is what Amazon is referring to when they mention Table of Contents in the Kindle Textbook Creator. Adding device navigation is easy. Don’t bother trying to do this in your PDF; most likely that won’t translate to the Kindle Textbook Creator anyway. When your PDF is ready for Kindle publishing, open it up in the Kindle Textbook Creator. 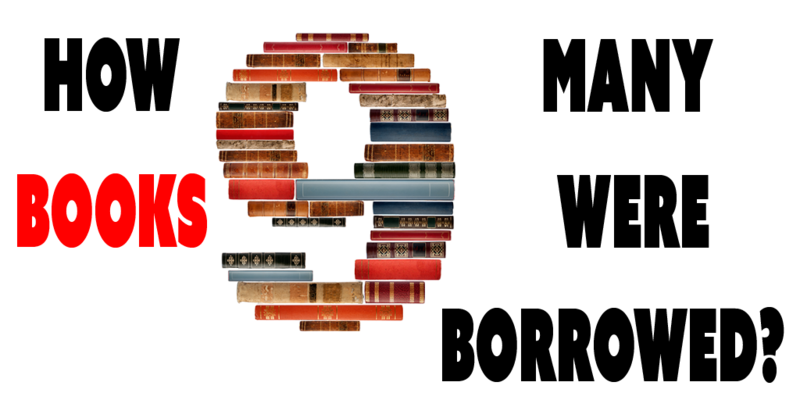 Go to the pages you’d like to bookmark for navigation, such as pages with chapter headers (like Chapter 5), and important front or back matter sections, like the Introduction. On that page, you’ll find a checkbox on the right side of the Kindle Textbook Creator, which says, “Include page in Table of Contents.” Check that box on any page you’d like to work in device navigation. In the space below the box, type the name of the chapter or section (like Chapter 4 or Introduction). Check your spelling carefully; you’d hate to have a typo in the navigation menu. Now there is a peculiarity in the way that the Kindle Textbook Creator numbers pages for the device navigation: The Kindle Textbook Creator numbers every page in order starting with 1. But many print textbooks number the front matter with Roman numerals (while some pages typically aren’t numbered at all), and then call page 1 the first page of Chapter 1. If your print book follows that convention, the page numbers shown on the pages won’t match the page numbers shown in the navigation menu. You may not like Kindle’s page numbering, but you can’t change that (well, you can send in a suggestion to KDP). You can, however, change your book. Here is one more thing to consider: Did you insert any pages into, or remove any pages from, your file for the Kindle edition? If so, that will add to the challenge of making actual page numbers match up with the navigation page numbers. Personally, I prefer to use Roman numerals for front matter, but then call Chapter 1’s first page whatever that number happens to be. For example, if I have 8 pages of front matter, they would be pages i thru viii, and the first page of Chapter 1 would be page 9 (but I don’t put actual numbers on all of those pages; check some traditionally published books to see what some of the common conventions are). Then this matches up with the Kindle Textbook Creator. Many textbooks begin Chapter 1 with page 1, however, and then it’s an issue. You can check the navigation functionality in the Kindle Textbook Creator’s built-in preview function (but don’t expect to find it in KDP’s preview after you upload your .kpf file). You don’t have to, but you can add a note to customers, either in the description, a page in your e-book, or both. Not all customers know how to use their devices. Not all customers are familiar with print replica format (that’s what the resulting e-textbook created from the Kindle Textbook Creator is called). I would avoid including a note about the format or features unless there is a specific issue in your e-book that makes this worthwhile. Let’s say that you have images that look great when the e-textbook is held in landscape mode, but on most devices are hard to make out in portrait mode. Some customers are in the habit of holding the device only one way, and it just doesn’t occur to them to try it a different way. On the page after your first picture where this is significant, you could insert a new page with note suggesting that a better reading experience will result from holding the device in landscape. (For most books, that won’t be the case; this is just an example.) You could even add a picture showing the device held both ways as a visual illustration of this. Or maybe you’re using the new audio or video features that are only available on limited devices. You might want to clarify both in the description and in the e-book where the first audio or video clip is reminding customers that these features only work on certain devices (to try to prevent frustration). 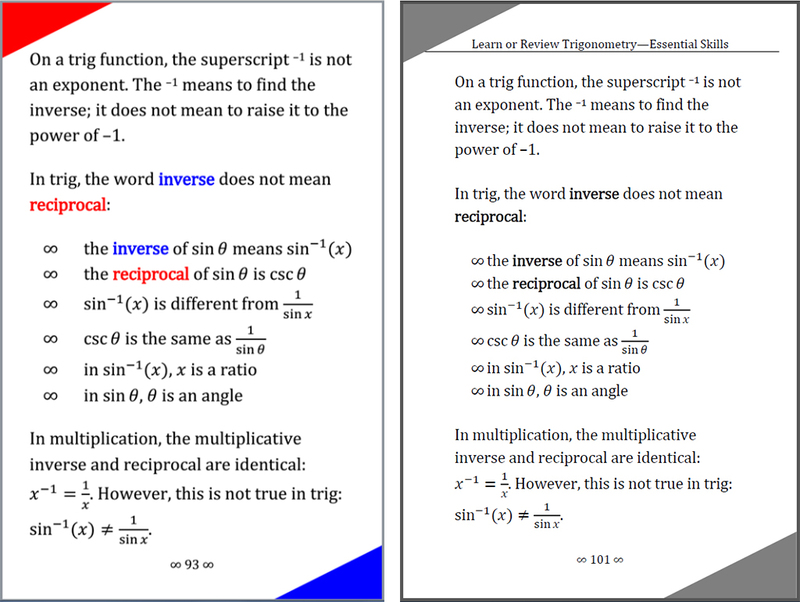 Here are some illustrations of how I modified my print file to create a different PDF to use with the Kindle Textbook Creator. I used grayscale for the paperback, but color for the Kindle edition. The page numbering is different with my Kindle version redesign. I removed the page header for the Kindle edition. The image appears slightly larger on the Kindle screen. In the above image, you can see that the Kindle edition has narrower margins than the paperback. That’s not automatic. I specifically changed my file to have narrower margins on the Kindle edition, where those margins are less relevant, but which waste valuable space. 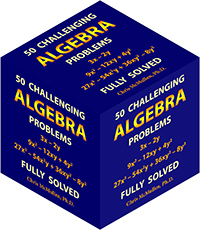 The print edition includes practice exercises at the end of the chapter. You can write in the paperback, so customers may want space here for their solutions. However, you can’t write solutions in an e-book, so I removed this extra space from the Kindle edition, as shown above. 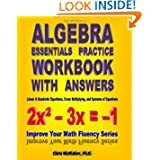 Also, the answer key for the paperback is at the end of the book, which is inconvenient for the Kindle edition, so I put the answers on the page after the problems for the Kindle version. Customers just have to turn the page to find the answers in the e-book. It’s easy to bookmark the answer key for the paperback though, so I tabulated the answers in their own section for the paperback. You can see what I mean about navigation built into the device in the above illustration. I took this picture with my iPhone’s camera; it shows my Kindle Fire HD 8.9″ with the navigation window open. On the bottom left, you can see the Introduction followed by the chapter names, with corresponding page numbers to the right. Note that these page numbers are automatic, and only match the actual numbers shown on your pages if you go to the trouble to make them match. The above picture isn’t a Kindle Textbook Creator e-book. It’s a paperback book showing that some print books have a wider inside margin than outside margin. That might look funny if not changed for the Kindle edition of an e-textbook made using the Kindle Textbook Creator. Email to Amazon Followers: What to Write? Kindle Direct Publishing (KDP) has a new feature. When you publish a new Kindle e-book, in a couple of weeks (or so) Amazon sends you an email (to whatever email you have linked to your KDP publishing account). The email subject is: A Question about Your Book (followed by the title of your book). When you publish a new Kindle e-book, you can send a personal message to your Amazon followers. Amazon will approve your message and send it out to your Amazon followers, letting them know about your new release. This message may go out a few days after you submit it. 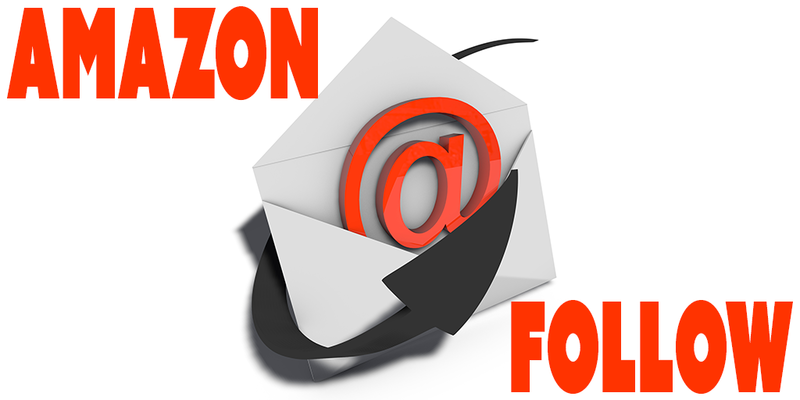 WHAT SHOULD YOU WRITE IN YOUR MESSAGE TO YOUR AMAZON FOLLOWERS? Here’s your chance to include that personal touch in your message about your new book. There is more than one way to do it, and it needs to agree with your author persona. There is also an easy way to get a lot of good ideas for how to do this well. Follow several successful authors at Amazon so you can see what kinds of ideas they use in their personal messages. The next time they publish a Kindle e-book through KDP, you’ll receive (in a few weeks) their personal message to their Amazon followers (assuming they accept Amazon’s offer to do so). 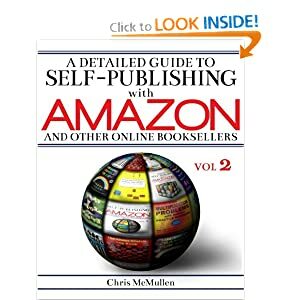 While you’re browsing for top selling authors on Amazon, also find them on Twitter, Facebook, and their blogs. This will also let you see how they use social media. You may get to see some of their marketing tactics firsthand. You can learn a lot by following successful authors. Ideally, you want to follow KDP authors at Amazon. If they publish through KDP, they will receive this opportunity. When a customer visits your Author Central page at Amazon.com, there is a large yellow Follow button on the left-hand side, under your primary author photo. Unfortunately, it doesn’t show you how many followers you have. If you receive an offer to send a personal message to your Amazon followers about your new release, then you know you have at least one follower. Follow yourself. This way, when you send out your personal message, you’ll also be able to see how it looks from the customer’s side. Many customers are reluctant to sign up for an author’s email newsletter. But how about signing up through Amazon to receive email updates via Amazon? Customers who already shop at Amazon are more apt to trust Amazon’s email system. Similarly, many customers are reluctant to follow authors via Twitter, Facebook, or the author’s blog. Some people don’t like social media. Some people follow authors, but don’t read most of the messages that they get from hundreds of people they follow. Amazon lets customers follow their favorite authors directly on Amazon. Authors can send a personal message to their Amazon followers when they release new books. Customers sign-up directly at Amazon. The emails come from Amazon, not the author. Authors don’t receive the customer’s email address, so they don’t have to be worried about being contacted frequently by the author. The only time they will hear from the author is when the author publishes a new book. You’re not trying to drive traffic away from one site to go to Amazon. These are Amazon followers hearing about your book from Amazon itself. So how do you get more Amazon followers? Put a note at the end of your book letting customers know that they can follow you directly at Amazon. Explain how to do it, and show them why it’s valuable. Explain that they can follow you directly at Amazon. Just visit your Amazon author page. 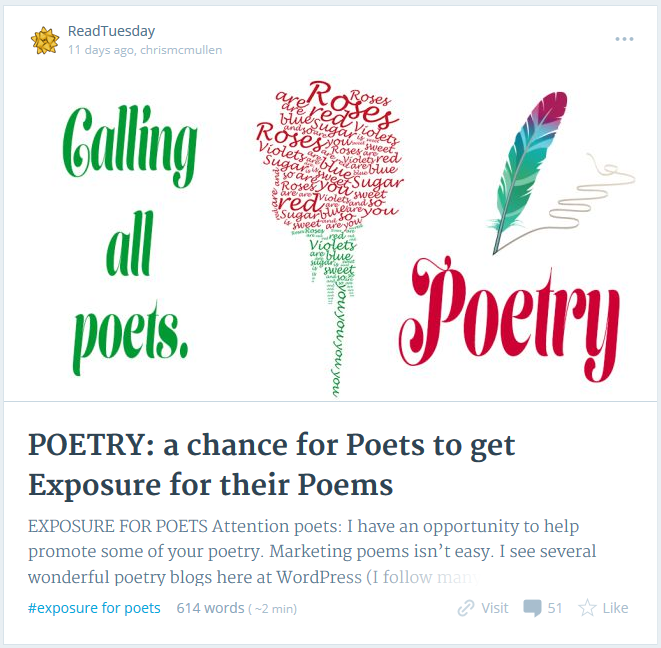 Provide a link to your Author Central page. Tell them to look for the large yellow Follow button on the left. It’s as simple as that. Explain that Amazon won’t give out their email address to you. The only time they will hear from you is when you publish a new book, and the message will come directly from Amazon, not from you. Start off with something like, “Would you like Amazon to notify you by email when I release a new book?” (For a series, finish with “the next book in the series.”) This helps to show why they should follow you. 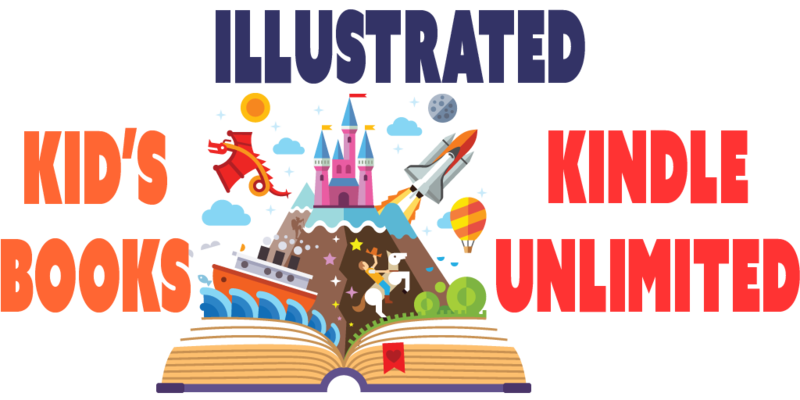 How many books were borrowed through Kindle Unlimited? Amazon KDP now shows the number of pages read (KENP read, or Kindle Edition Normalized Pages read). The KDP reports no longer show the number of books borrowed through Kindle Unlimited or Amazon Prime. 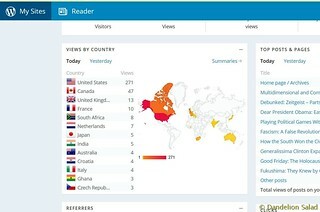 Although it’s nice to see the number of pages read, this data would be more meaningful if we knew how many books were borrowed. That way, if you saw 200 KENP read in your report, you would know if 1 person read 200 pages or if 4 people each read 50 pages. Visit your Sales Dashboard at KDP by clicking Reports. Scroll down to the very bottom and click the Generate Report button. Open the spreadsheet in Microsoft Excel (for example). Scroll down to the very bottom of the spreadsheet. Note that there are three tabs: (1) Royalty Report (2) Orders Report (3) KU-KOLL Unit Report. Click on the middle tab, Orders Report. Unfortunately, the third tab (KU-KOLL Unit Report) stops after June 30. It sounds like what you want, but it’s not for July. The middle tab (Orders Report) provides a helpful breakdown. But it’s inconvenient to get there, and it still doesn’t show you quite what you want. Maybe this will improve. I’ve heard from hundreds of authors who would like to see the number of borrows in the reports. But it doesn’t help to tell me. Visit Amazon KDP and click on the Contact Us button in the corner. It took a long time and a large number of requests, but reporting has changed in the past and we have pre-orders—authors have requested these features for years and they finally came. If you want something, ask for it. Otherwise, how will they know what you want? Why doesn’t the report show the number of borrows? There are a few theories for why the reports don’t show the number of Kindle Unlimited (or Amazon Prime) borrows. Perhaps they just forgot or didn’t realize its importance. That seems doubtful. But perhaps. Maybe most customers don’t start reading the book after they download it, and Amazon doesn’t want authors to freak out when they see several borrows, but zero pages read. But that has an easy fix: Don’t show all borrows; just show borrows where the book has actually been opened. However, what if many customers only read a few pages and discard the book. It could happen, since there really is no incentive for Kindle Unlimited customers to check out the Look Inside. Since they can read for free, they might just download it and skip the middle man. It might not be a sign that the book is bad. It might just be a matter of taste. Oh, I didn’t realize this was a mystery. Oops! A mere 3 pages read. Knowledge is power, though. If we see that most customers are only getting partway through our books, wouldn’t we feel inclined to try to make our books more engaging? After I purchased some print books today on Amazon, I found a nice surprise. At the top of the next page was a large Matchbook offer, large enough to include the thumbnail of one of the books and a message. It informed me that since I had purchased the print edition, I could add the Kindle edition for $1.99. This way, the Matchbook offers are getting a little exposure. They are slightly easier to spot on the product page than they once were, yet they still aren’t too visible there. 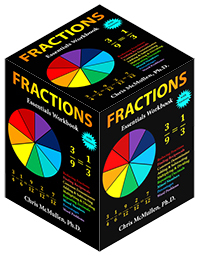 But after you buy the print book, now the Matchbook offer is highly visible. 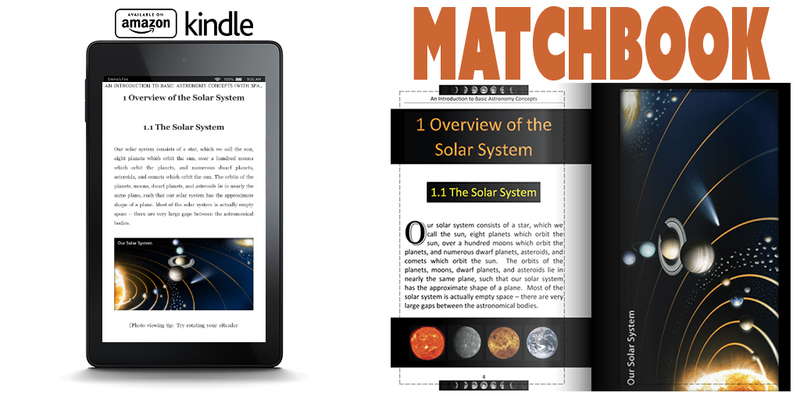 The Amazon Kindle Matchbook program allows publishers to offer the Kindle edition at a discounted price to customers who have already purchased the print edition. The idea is to entice customers to buy both editions, and to offer savings to customers who do so. 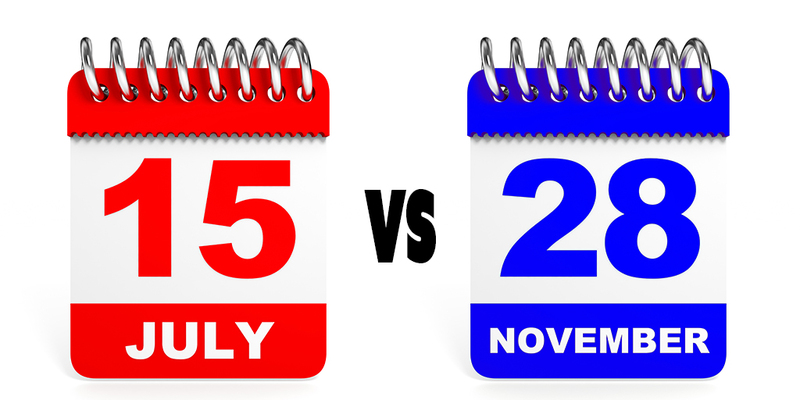 KDP authors can check a box on the second page of the publishing process to enroll in the Matchbook program. You must have a print edition of the same Kindle e-book, and the two editions must be linked together on the Amazon product page for this to work. I get some Matchbook sales every month. But many authors don’t see many Matchbook sales. For one, I sell many more print books than Kindle e-books. If you sell mostly Kindle e-books, you probably won’t see as many Matchbook sales. Unless you find an effective way to take advantage of a little marketing potential. You have to let your prospective customers know about the benefits of Matchbook. Buy the print edition at Amazon and get the e-book edition at a discount. Many customers don’t know about Matchbook, and those who do often don’t fully realize how it could benefit them. The way around this problem is to help educate your customers. But like all other marketing, it’s never easy.